Adding a probiotics supplement to your daily lifestyle could have huge health benefits. Some of the benefits include better gut health, weight loss, lower blood pressure and cholesterol. It is no wonder that probiotics are getting so popular nowadays. The question is which probiotics supplement to get? Here are the best probiotics that you can get in Singapore today! 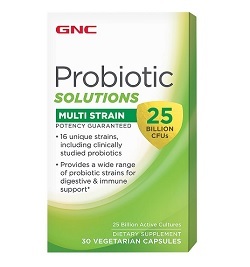 With 25 billion live active cultures with every capsule, the GNC Ultra 25 Probiotic is one of the effective and fast-acting probiotics in the market. Its multi-strain nature of the probiotics means it can work more effectively to improve health areas such as the health of your intestines and even your immunity. If you suffer from Irritable Bowel System (IBS), this probiotics will help you to keep it under control. The GNC Ultra 25 also contains Fructooligosaccharides (FOS) that can increase the healthy bacteria in your digestive system. If you are a vegetarian, you’ll also be happy to know that the probiotic comes in a Vegecap which uses plant-based ingredients rather than gelatin capsules. Click here to check the latest price of the GNC Ultra 25 Probiotics on Lazada today! The Duolac Care Probiotics is a super-efficient probiotic that makes sure your body receives the full benefit of every pill. The probiotic is dual-coated through advanced technology which makes them 100 times more likely to reach your intestine. Uncoated probiotics sometimes go to waste as they die before having a beneficial impact on your health. This probiotic is made up of 6 different strains which makes it much more effective than single-strain options. It also has a small amount of Vitamin C (16 mg). It is also lactose-free, gluten-free and halal. 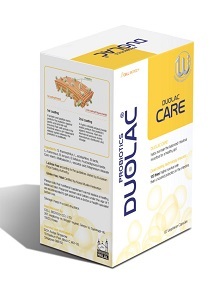 If you want an effective probiotic suitable for the entire family, get the Duolac Care Probiotics. Click here to check the latest price for the Duolac Care Probiotics on Lazada today! 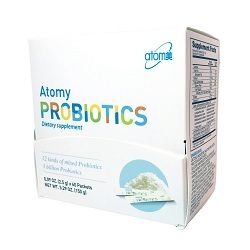 If you are looking for a powdered probiotic supplement, check out the popular Atomy Probiotics 10 Plus. It contains 12 different probiotics which help to improve the health of your digestive system. In one single sachet of this probiotic, there are 3 billion Lactobacilli which are friendly bacteria that are found in foods like yoghurts. You’ll likely see improvements in your digestive health within a week of trying this probiotic. This powder probiotic can be mixed with water or any other drink you prefer. Its orange flavour is refreshing and makes it easy to drink daily. Just one packet a day for better health all round! Click here to check the latest price for the Atomy Probiotics 10 Plus on Lazada today! If you are searching for a value-for-money probiotics supplement, check out OptiBac Probiotics. It is competitively priced and makes it affordable for everyone to include probiotics in their daily diet. This probiotic has gone through hundreds of scientific tests to choose the best and most effective life cultures for gut health. Additionally, it is 100% organic which gives you peace of mind when eating it daily. 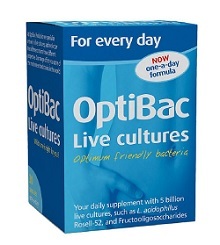 If you want a budget-friendly probiotic – check out the OptiBac Probiotics for Every Day. Click here to check the latest price for the OptiBac Probiotics on Lazada today! Blackmores Probiotics+ Daily Health is excellent in improving the health of your intestines and gut. Their 5 strains of probiotics are scientifically proven to contain 30 billion good bacteria. You can expect immediate results from the first time that you take a capsule. Besides digestive health, it can also help to reduce bloating, gassiness and even flatulence. With better gut health, your immunity will get stronger too. 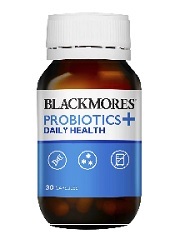 Get the Blackmores Probiotics+ to improve your well-being! Click here to check the latest price for the Blackmores Probiotics+ on Lazada today! 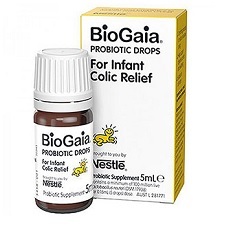 Want to help your child’s digestive health – then try out the safe and child-friendly Biogaia Probiotic Drops. Even newborns and babies can safely add probiotics to their diet with this carefully tested probiotics supplement. It has gone through 148 different tests to ensure 100% safety. Moreover, it is extremely popular with more than 74 million bottles sold around the world. With millions of happy and healthy babies using this probiotic – you can definitely trust it. One dosage of this probiotics contains 5 drops. You should shake the bottle well before putting 5 drops on a spoon for your baby to drink. You should not mix the probiotics with warm or hot food or drinks as it can affect its effectiveness. With more than 100 million live Lactobacillus in a single dose, your baby’s gut health is sure to see an improvement. Click here to check the latest price for the Biogaia Probiotic Drops on Lazada now! 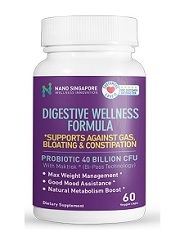 Nano SG Probiotics is one of the most popular probiotics in Singapore today. There are two main reasons why. Firstly, it is very effective with thousands of satisfied customers in Singapore. Secondly, it is great value-for-money with a really affordable price tag. With 40 billion CFU in each dose, it is one of the most effective probiotics in the market. That is why you can see an almost immediate improvement on your gut and intestine health. Additionally, it is also said to be immunity boosting and has anti-aging effects as well. Don’t take our word for it, take the word of hundreds of positive reviews online about Nano SG. Click here to check the reviews and price of Nano SG Probiotics on Lazada today! In simple terms, probiotics are good bacteria that are extremely beneficial in maintaining a healthy digestive system and gut. They can be found in foods like yoghurt, kimchi, cheese and yeast. When you think of the word bacteria, our first reaction is that it is bad for the body. However, there exist good and bad bacteria. Encouraging more good bacteria will bring about a range of tangible health benefits. Therefore, it is beneficial to add a probiotic supplement to your diet. Probiotics keep your digestive system healthy. By adding probiotics to your diet, you can help keep the balance right between good and bad bacteria in your gut. This imbalance could be due to poor diet, sickness or use of antibiotics. A healthy gut can help improve other health aspects as well. Do you find that you are suffering from diarrhoea often? Or do you have IBS? Adding a probiotic supplement to your diet may help. A likely reason for these health issues is a weak gut which is overpowered by bad bacteria. A probiotic will help to increase the number of good bacteria in your gut to fight against the bad bacteria. Therefore, you will likely see improvements for conditions related to diarrhoea and IBS. Probiotics can put you in a better mood. Some studies by the National Institute of Health in the United States have found a link between a healthy gut and positive moods. They found that by adding a probiotic supplement to your diet, it had a positive impact on mental health, depression, anxiety and even memory. While this should not be the main reason why you take probiotics – it is a pretty good secondary impact to have. Probiotics can improve your cholesterol and blood pressure. High cholesterol and blood pressure is a serious problem in Singapore. Our decadent diet and love for hawker food is often the reason for this. Probiotics have been found to have positive effects on lowering blood pressure and cholesterol levels. It is especially effective in reducing LDL cholesterol which is the “bad” cholesterol as we know it. Probiotics can strengthen your immune system. There has been evidence that probiotics help in develop natural antibodies. With these natural defenders in your body, you are less likely to fall ill.
Probiotics can aid you in losing weight. There are several ways in which probiotics can help you to lose weight and fat. Firstly, it makes you feel full for longer periods. This means you’ll feel like hungry which would reduce your eating portions. Secondly, probiotics can divert fat away from your intestinal area and instead it gets expelled by the body rather than absorbed. Unlike some other dietary supplements, probiotics work better when taking at certain periods. When you take a probiotic supplement, it is essential to make sure that the probiotics have the best chances of survival. A higher survival rate would equate to better effectiveness and more benefits. First, let’s understand when you should definitely not take a probiotic. You should not take a probiotic right after you wake up in the morning. The acidic conditions in your stomach and intestine make it a hostile environment for the probiotics. The probiotics have a lesser chance of survival and have a positive impact on your gut. So if possible, do not ever take it right after you wake up. The best time to take a probiotic is after a meal. There are two reasons for this. After you eat, the acidity levels in your stomach and intestines are lower. Additionally, the food consumed also acts as nutrition for the probiotics. These create the ideal conditions for the probiotics to thrive – allowing your body to enjoy all the benefits of probiotics in its full effect.